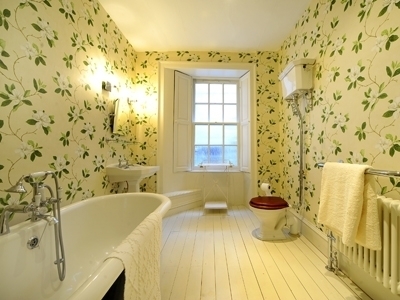 Lovely Georgian Townhouse in the centre of Kelso with two well appointed en suite rooms, offering comfortable beds and a delicious breakfast. The house centrally located is only a stones throw from the Tweed and the famous Junction Pool; local restaurants, bars are moments away. 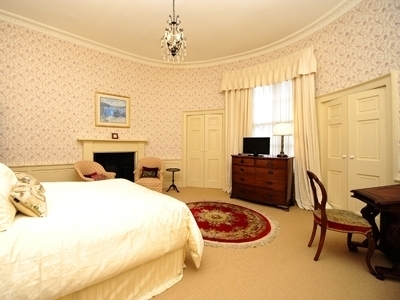 Whether you are visiting Kelso for fishing on the Tweed, Kelso Races, Golf at the Roxburgh, an event at Springwood Park, walking St Cuthberts or the Pennine way or passing through on your way to the rest of Scotland The Townhouse is a charming place to stay. It's a beautiful house with many original features and full of interesting books on all manner of subjects. It is very restful despite being in the heart of Kelso. 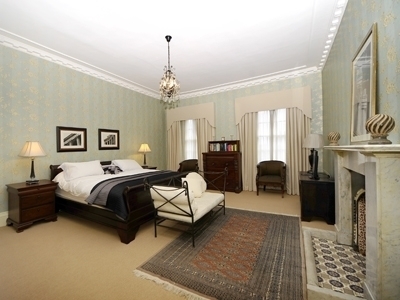 Each bedroom has its own television, one has a king and the other a superking sized bed. 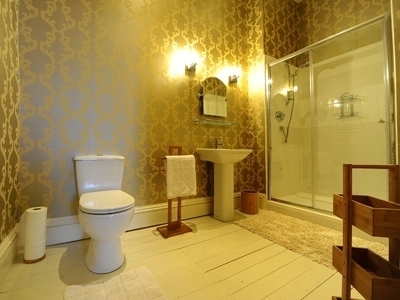 The front room overlooking the square has an en suite shower room while the other room at the back of the house has an adjacent and attractively decorated bathroom (additionally a twin bedded room is available on the top floor for families and friends provided they don't mind sharing the bathroom). Wi fi is provided throughout the house. There is a drying room and somewhere to store bicycles. Packed lunches are available; an honesty bar is provided in the sitting room; and evening meals on request. Sadly no smoking and no pets. We look forward to welcoming you to our lovely home.